Okay, let’s be honest here. Everyone Googles everything. Am I right? Hence, the need to teach students how to “Google” properly. Googling has taken over past research practices such as going to the library or using an encyclopedia. It is so easy to find what you want by “Googling” it but there is also a big problem with this! Finding the answers quickly and easily is convenient but also results in a lack of thought. I’ve seen students who cite Google and Pinterest as their source and that is just sad. They aren’t even aware that Google and Pinterest are just search engines and not actual sources. We must teach students to think critically about where their information is coming from, what the purpose of that information is and who is writing it! 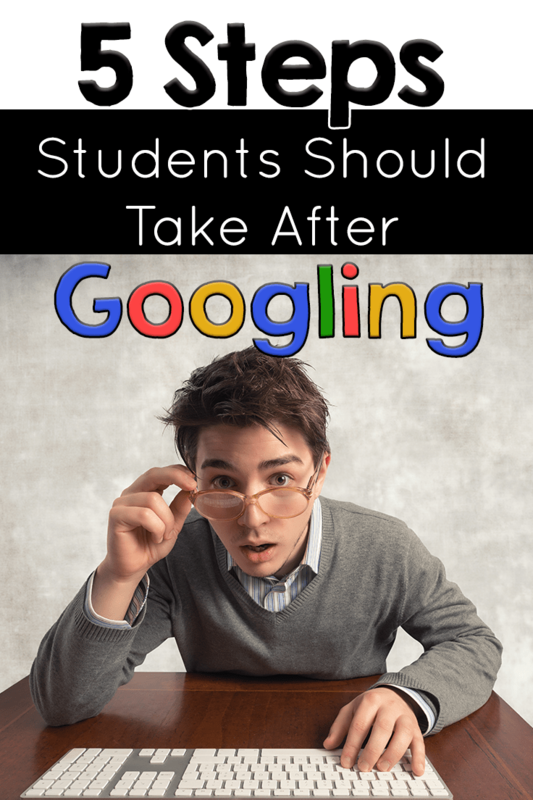 In this article I lay out five steps students should ALWAYS take after “Googling”. 1. Read the green url under the website link. The reason students think Google and Pinterest are sources is because they don’t look at the name of websites, shown in green above, after “Googling” something. They just see their answers in the top box and assume it is accurate and true. 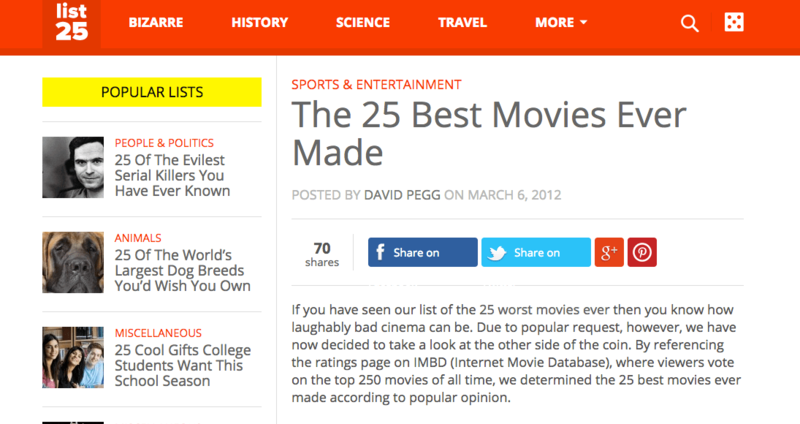 However, the answers provided by List25.com are based on an opinion poll done by the people who run the website. Why do students need to know that, you may be wondering? Yes, the internet is an incredible source of reliable information but it is also full of opinions, embellishments, sales tactics, rumors, drama and dishonesty. We as educators have a duty to help students get in the habit of questioning the information they find online. Want more reasons why this is important to teach our students?….check this study out. 2. Look in the navigation bar for an “About” button. Students should always be on the hunt for the “About” section of a website. But, this website has no “About” button in the navigation bar so now what?!? Teach students the term “navigation bar” and find examples of websites that do have “About” pages in the navigation bar. 3. Scroll to the bottom of the website. I like to explain to students why it is important to be on the look out for this kind of information too…Knowing a website’s motivation can definitely impact the kind of information you find on that website. Websites run by television programs like CNN and A&E can have reliable information but it can also be sensationalized to get more viewers! 4. Look for the author of articles. I think it is also very important to teach students the term “article” and how to distinguish between articles, websites and search engines. 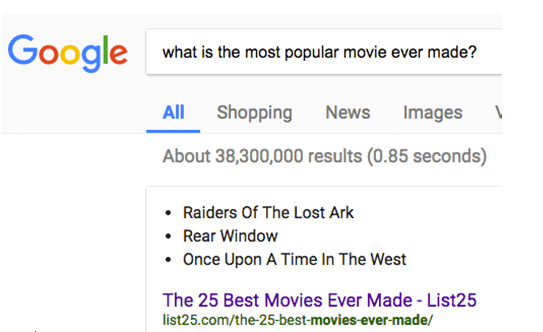 Websites that publish articles usually have the author’s name listed under the article title like in the 25 Best Movies Ever Made above. We can learn more about David Pegg by clicking on his name or even doing a Google search of the author. Again, students need to be told they are detectives trying to solve the mystery of who is actually behind the information found in a Google search. 5. Determine the purpose of the website. Websites can have many purposes…inform, persuade, entertain and usually always to sell! We need to let students in on this important fact. Websites with lots of advertisements, pop ups, sign up forms, subscribe forms and more are trying to sell something. That doesn’t mean the information isn’t trustworthy, it just means students need to be careful about giving their emails out and signing up for things just to get a freebie because they can be sure to be spammed! I also often teach students to verify facts by comparing information on multiple websites. If they find the same information in multiple places online, then the information is most likely fairly reliable.